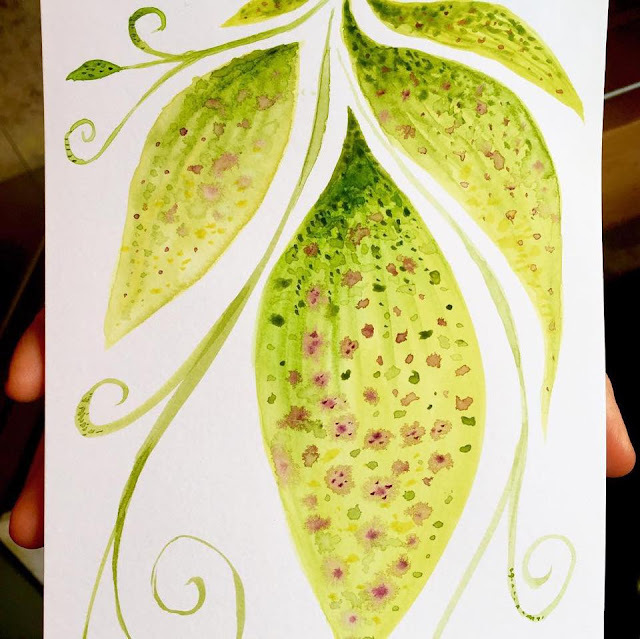 Drew these watercolor green leaves. An abstract plant, something like that. Eyes are a window to the soul. Not in her case, though. 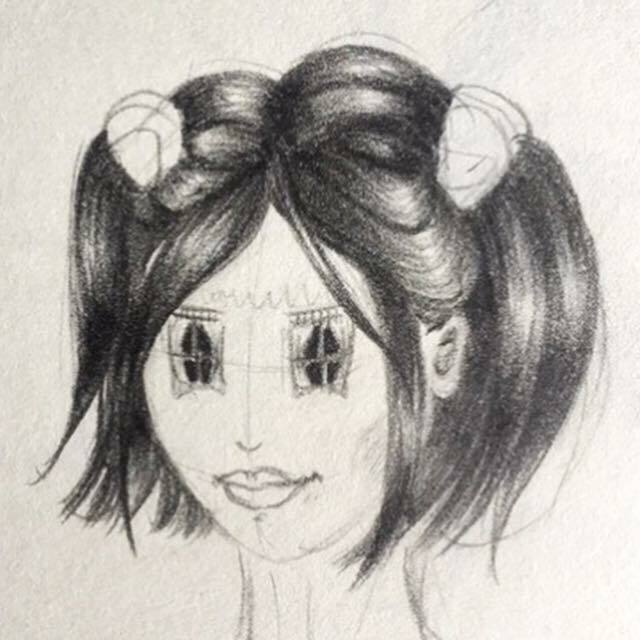 This pencil sketch is too blurry, but anyway. 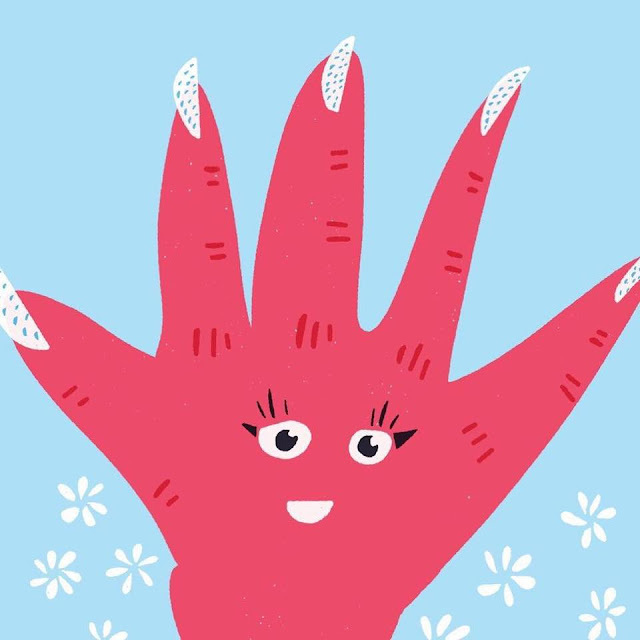 This is a weird pink hand character drawn in Paper. 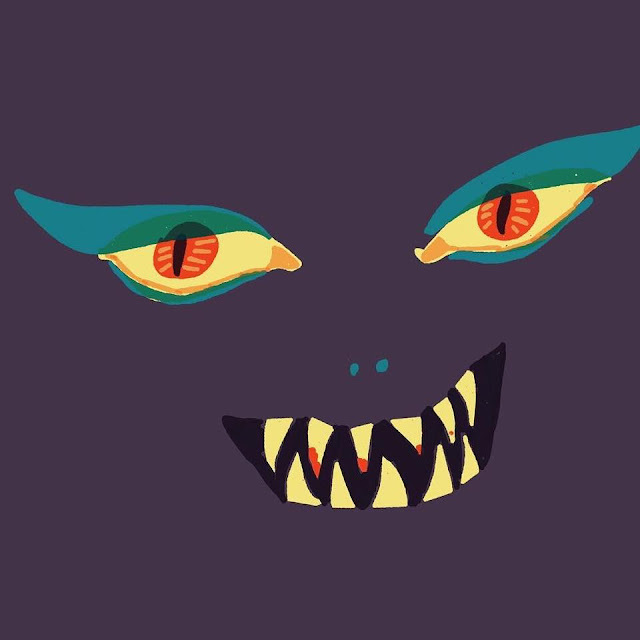 And some evil scary creature. Where it came from, I just don't know. 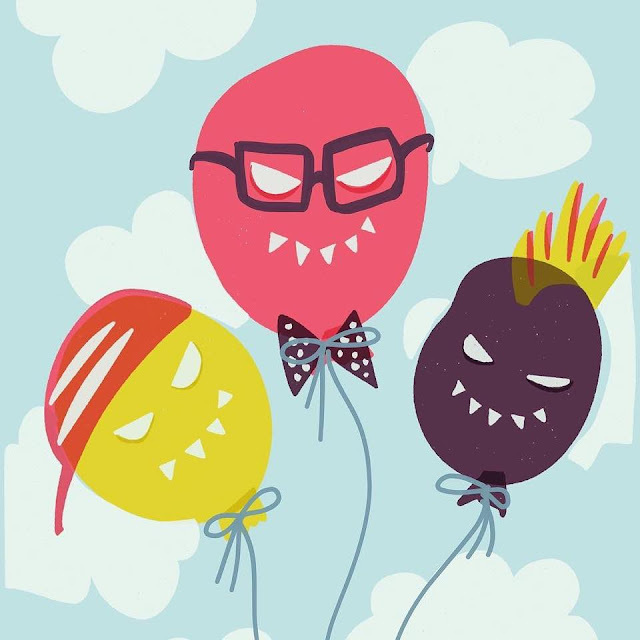 Finally, some colorful nerdy balloons. The mohawk is my favorite.